I CAME to know about Kampung Ayer Salak from a fellow traveller heading south during a recent trip to Melaka. He told me of a very old church that was built some 130 years ago in a predominantly Chinese-Catholic village. Guided by Waze, I was brought right to the grounds of the St Mary's Church in the village. Although the morning sun had cast wonderful shadows on the main premises, the old church building on the western end of the field was more interesting as a painting subject. This old church has two spires, each with a cross at the apex. 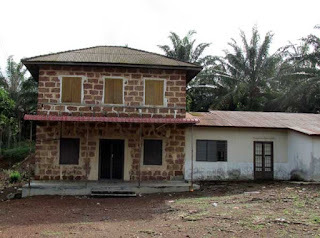 It is a small but sturdy building constructed of rust-coloured laterite rocks similar to those found in old forts that I had seen, such as the A' Famosa and Fort Supai in Kuala Linggi. 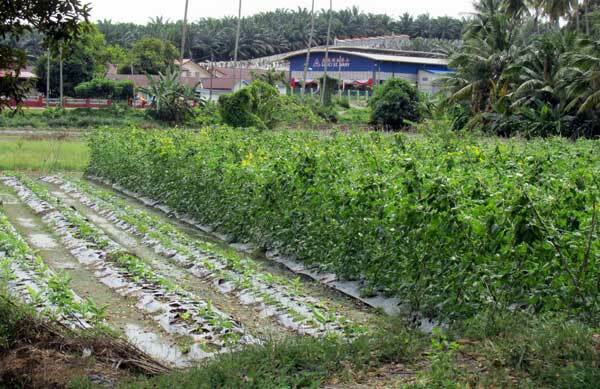 Kampung Ayer Salak lies about 30km off the North-South highway from the Simpang Ampat exit. The village was a jungle in the mid-1800s, according to a story in a magazine published by the Church of St Francis Xavier, Melaka. The 1995 publication mentioned of a French missionary named Pierre Henri Borie who built a settlement here in the late 1850s. When Borie went home to France in 1867 because of ill-health, another missionary Ludovic Julil Galmel carried on his work. The latter built this old church and two schools in 1886. When Galmel died in August 1899, he was buried here and a tombstone was carved by villagers to remember his contribution to the village. The population of Ayer Salak was given a boost in the 1920s when Chinese Catholics (mainly Teochew) from China migrated to this village to escape war and natural disasters in their homeland. Joining the original settlers, they worked their farms and tapped rubber for a living. Today, there are about 200 households in this quiet enclave in Melaka. Tucked away from the hustle and bustle of the state's tourist belt, many of the houses here are still in their almost-pristine condition, built with timber and had large front yards. There are also quite a few brick houses. Places like the old church and an old fort-like house - dubbed by visitors as "red stone house" - just opposite the church offers a glimpse into the Ayer Salak's past. The "red stone" house was believed to be have been built about the same time as the old church and was used to house the church's caretakers. It is now closed for repairs. When I was there, I noticed a fundraising banner announcing efforts to raise money to refurbish the old church, as well as the red stone house. A short distance from the church, half a kilometre up an incline into the heart of the village, lies the St Mary's Gloriette which was built by villagers in 2007. Religious services are held here on Tuesday and Friday evenings. Down the road from here is the compound of what used to be the Convent of the Holy Infant Jesus Primary school until the late 1990s. It is now the Montfort Youth Centre which offers vocational training to poor and underprivileged youths. Not far from the St Mary's Gloriette, by the road junction, is an old sundry shop operating from a single-storey timber shophouse. This family business, I was informed, is being run by a fourth generation member. Owner Woon Boon Siang, 75, inherited the business from his grandfather and he has since passed the baton to his 50-something son. Stepping into the shop, which was named Cheong Huat, is like stepping back into time. 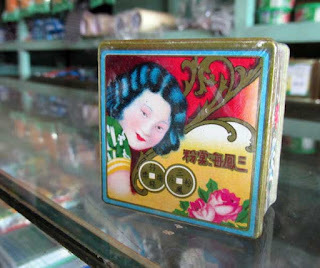 Goods from a forgotten era such as the China-made Eagle brand shavers, Ve-Tsin food flavouring and Gold Coin brand face powder cakes can still be found here. Speaking to Kampung Ayer Salak village headman Lim Khen Hong, 54, I understand that plans are afoot to promote the village's tourism potential. One of the efforts undertaken recently was to beautify this very clean village and illuminate the main road into Air Salak using decorative lanterns during major festivals. Wandering around the neighbourhood, I come upon several vegetable farms, orchards and even a fish farm that rears giant snakeheads (toman) that will be sold to restaurants. All of these, including the quiet charm of the village, are yet-to-be discovered tourism products. "In the past, most of the villagers operated small-scale farms and tapped rubber," Lim tells me. "Today, most of the younger generation prefer to work in factories nearby the Bukit Rambai area. There are some who still work on their farms and oil palm plantations but these are mostly the older generation. The younger generation prefers to work in bigger towns that offer better pay. 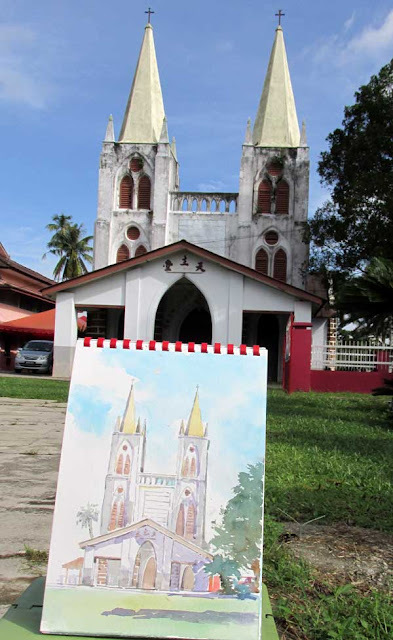 KAMPUNG Ayer Salak is probably the only village in the country populated entirely by Chinese Catholics. It owes its origins to French missionary Pierre Henri Borie who set up a mission station named Dusun Maria in Rumbia (Rembia) in 1848, according to the Herald Online. In 1857, its Rumbia settlement of 23 newly baptised indigenous people (known as Orang Mantras) had grown to almost 400. That year, the British (who were the authorities of the day) wanted the land to be turned into a plantation and Borie was forced to look for an alternative settlement, large enough to accommodate his community. In February 1858, Borie found a piece of land in Ayer Salak. Seven months later, Borie and his community moved to their new home which he renamed Maria Pindah. Two years later, he obtained 202 hectares of land from the Governor of Singapore and this became the permanent location for Maria Pindah, the foundation on which the modern village was built. Borie returned to France in 1867 and died four years later of malaria, at the age of 91. 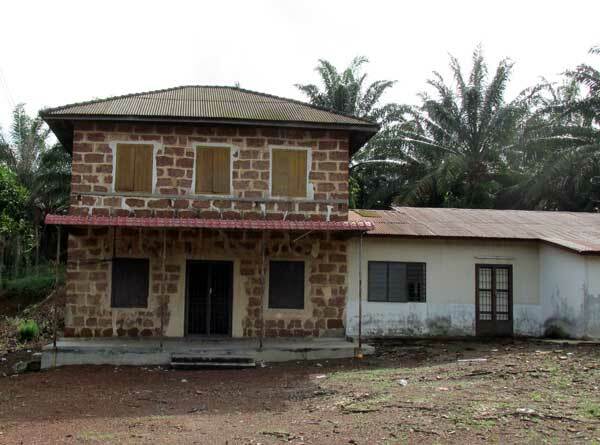 Without a priest, Borie's congregation began to leave in stages over the following decade. In 1885, another French missionary Ludovic Julil Galmel arrived in Ayer Salak. Failing to gather those who left, Galmel turned the settlement into a model farm, with Chinese workers and the remaining Orang Mantra forming the village community. SOURCE: "WHERE IT ALL BEGAN -THE FIRST COMMUNITY", HERALD MALAYSIA ONLINE, OCT 6, 2014.